STOP HS2 | The Lib-Dems and political suicide, HS2 style. 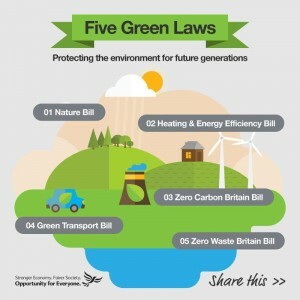 One of the bits of policy which has recently come out from the Liberal Democrats in the run up to the election are their proposals for “Five Green Laws”. There is a problem with what they are proposing, and of course no prizes for guessing that the problem is HS2, which sort of messes up three of them. You might be excused for thinking HS2 would fall foul of the proposed “Zero Waste Bill”, but of course that is focussed on recycling versus landfill, not on their being a zero waste of tax-payers money. Very much like the CPRE campaign to protect the countryside, which seems to aim to protect it from everything apart from HS2, with the Lib-Dems, who previously said that a cash value should be put on ‘natural capital’ when assessing rural developments, which would have disastrous consequences for and already disastrous business case, the party seems to willing miss the white elephant in the room that is HS2. However, this contradiction is nothing when you look at the political suicide being committed by some of the candidates on the HS2 route. The Stop HS2 campaign has long said that we would hope people would look at the parties opposed to HS2 when casting their vote in May, as candidates in constituencies affected by HS2 would have to be daft to say they are for HS2. Well we were wrong! You might have hoped that Richard Dickson, Lib-Dem candidate for Kenilworth & Southam, who walked the entire route of the proposed line in the constituency on the 5th anniversary of HS2 last month, might be the one his party colleagues tried to emulate, as potnetial champions of the community. But no, we’ve actually seen Lib-Dem candidates standing in seats along the route, perhaps thinking they have nothing to lose, saying they are for HS2. Recently at a hustings in the Uxbridge and South Ruislip constituency, Liberal Democrat candidate Mike Cox said that if he were elected he would vote in Parliament for HS2. After the meeting, maybe once he realised what he had said, he tried to backtrack trying to claim he would get a massive kink in the line to bypass the constituency, further demonstrating how little he knows about HS2. Demonstrating you don’t know what you are on about when caught on the hop is one thing, but North West Leicestershire candidate Mark Argent took it to a whole new level, going to the extent of writing a blog for Liberal Democrat Voice, demonstrating that not only had he not got a clue what he was talking about, but also that he wasn’t ashamed to let everyone know about it. You might think that someone aiming to be an MP in the East Midlands promoting HS2 would at least try and sell HS2 as having a station in the East Midlands, but while he got all the other station sites right, he seemed not to have been briefed on that one. You only need to get as far as his second paragraph to see how little he knows. The latest figures put the cost at £32bn? Really? When did you last look at the figures, two years ago? It’s £42.6bn. Well, the official Government figure based on 2011 prices is. And that’s just building it. If you want trains, that’ll bring it up to £50.1bn, and again that is the cost if you were to build and pay for the whole thing four years ago. Then he demonstrates he has bought the HS2 Ltd documentation hook line and sinker, promoting the idea that HS2 will buck international precedent and actually make a profit, while swallowing the ‘benefits’ which have been torn apart by every independent analyst who has cared to look at them. He does make one sensible point, in that the constituency, one of the few in the country without a single train station, would benefit from the reopening of the Ivanhoe line, but how that would ‘Spread the benefits of HS2’ is beyond us. We could go on, but maybe you’d like to read it yourself. If your comment gets through the moderator, you will have done better than we did. Technically, of course the trains are actually “zero emission vehicles” as their power is not generated on board, but elsewhere ‘as with all electric trains and that power can be generated in a variety of ways, renewable or otherwise and furthermore while the line is designed for speeds up to 250 mph, the trains can be operated at lower and less energy demanding speeds, as is the case on convential 125 mph sections today. As regards Mark Argent’s statement on the cost of building HS2 ,”this will cost 32 billion to build”, could it not be that you are BOTH right? 32 bn. was the projected figure in 2011, and included within it was a proportion of contingency money to allow for inflation and the unexpected. Then, some time prior to the ‘STOP’ Stafford convention, it was the TREASURY that insisted on adding a further 10 bn. for possible FURTHER contingencies,such as modifications and improvements decided upon as the scheme evolved and in response to consultation along the route. None of these figures ever included the trains themselves,so there is little argument between the two sides. I would add that Mr Clegg was responding to the House of Lords report. John Webber is being very kind and far too generous to Mr. Argent. Mr. Argent has simply not bothered to keep up to date with the figures. Remember, Higgins couldn’t find any way to reduce the budget, so he cancelled parts of the plan. Simples! Mr. Argent may have been in touch with Nick Clegg, who said that HS2 would create 400,000 jobs and bring £50bn. of economic benefits. Wow!